Spiritual values are intrinsically woven into the fabric of daily Wilderness Camp living and are reinforced by our staff as they model the teachings of Jesus Christ. They are displayed in the simplest ways—the love and understanding of a counselor, the forgiveness of one boy to another, and the helpfulness of a friend…. As the letter from Lisa suggests, many boys and their parents are being powerfully shaped by the influence of loving mentors at Bald Eagle Boys Camp. Story two: The need this time is not troubled boys but troubled communities—communities that lack the relational and economic networks needed for people to climb out of poverty. Several decades ago Merle Burkholder and his family lived for a year in a small rural village in Haiti. The Burkholders imitated their neighbors by adopting their simple lifestyle and, in return, they gave their neighbors something to imitate by modeling Christ to them. Deep friendships began that continue to this day. Merle has returned to Cadiac, Haiti once or twice a year ever since, speaking in church seminars and mentoring leaders. Open Hands operates savings and credit associations in countries where Anabaptist missions are working with people who are experiencing the effects of poverty. We hire and train national Christian individuals to form and supervise savings groups in association with local churches. Our objective is to assist the local churches by helping people grow in Christ, and by teaching them to save funds in order to operate micro-businesses. The Open Hands program will increase their income and will result in stronger, more self-sufficient churches. The Open Hands program involves many relationships and lots of training. These flow in multiple directions, as everyone listens and learns from each other. Open Hands has adopted some elements of a dialogue education approach, where facilitators ask questions and help learners discover answers using their prior knowledge. This helps build the dignity and confidence needed for responsible and successful living. Board and administration has set a vision for producing family and small business training booklets. Writing teams turn this vision into instructor’s guides and student workbooks. Translation teams transmit the content into other languages. Each savings group with its individual members. Such a long chain does leave space for things to be lost in transmission. But so far this approach seems to be working well, helping to transform lives. And communication is certainly not all one-directional; everyone from administration through writers through translators has interacted directly with national leaders and group members to celebrate our partnership in the gospel. When we began with the savings group model we realized that this model follows a pattern that many Amish and Mennonite people here in the developed world have used. The model we use relies heavily on brotherhood accountability within the savings group. It demonstrates how faithfulness in small things leads to larger responsibilities. It helps a person to start a small family business with a little capital and grow that business into a business that will provide for the needs of the family. When you think about the large number of Amish and Mennonite family businesses, you see that what we have done here is often replicated in the developing world through the savings group model. Often here, Amish and Mennonite families would pool their funds in order to purchase a farm or fund the start up of a small home based business. The savings group model follows the same pattern within a community. 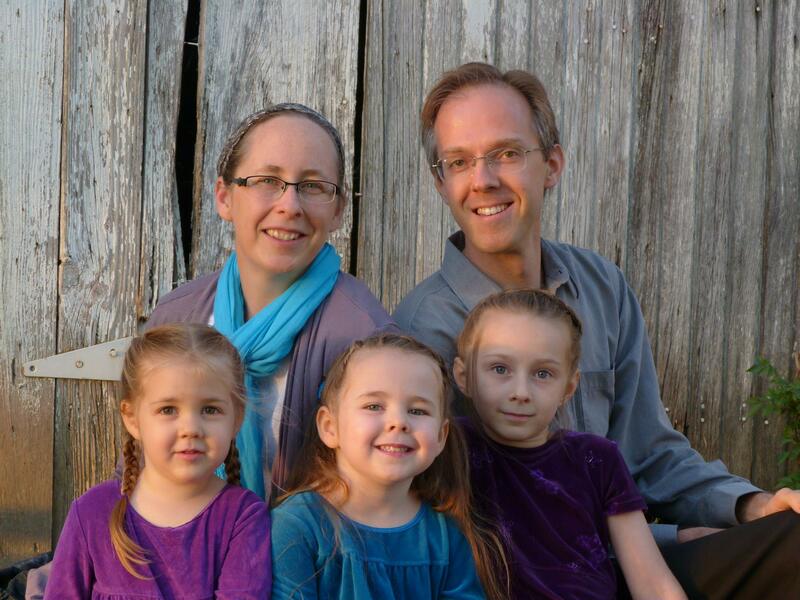 So Open Hands is strengthening a transmission of influence from Amish and Mennonites to developing nations worldwide. Open Hands aims to transmit our “strong work ethic” and “belief that we should provide for our own.” The curriculum also emphasizes Jesus’ kingdom teachings about stewardship, eternal values, and neighbor love, and includes a gospel invitation in each booklet. In this way North American Anabaptists are helping to shape men, women, and children in Haiti, India, Kenya, and other nations worldwide. I would start the Servant-Leader Apprenticeship earlier as a deliberate, planned approach to raise up more leaders, not only to pastor the new church but also to serve as missionaries and church planters. And hopefully by now you can see some common themes emerging in my three stories. Many similar stories could be added. But these are enough for me to make an observation: sometimes conservative Anabaptists, whether they realize it or not, demonstrate a very Scriptural practice of tradition. “Of tradition?” you say. Yes, of tradition. In my last post I described how conservative Anabaptist often listen rather poorly to what the NT says about tradition. I also summarized the NT’s critique of tradition-gone-bad. But the NT also has positive things to say about tradition. And if we only exorcize the demons of bad tradition without filling the house with the Holy Spirit’s positive tradition, then the last state of our churches will be worse than the first (image lifted from Matthew 12:43-45). There are three times that the ESV NT uses the word tradition in a positive sense. We will explore these three passages and see what we can learn. But first, please bear with some technical notes for Bible students. With the one exception noted in my previous post, the ESV’s use of the word tradition perfectly matches the Greek text’s use of the word παράδοσις (paradosis, a word referring to a teaching or tradition that is handed over). This means that, despite using an English translation, we are matching the results we would get if working from the Greek. On the one hand it can actually be better to work from English for a topical study like this, for translators sometimes identify multiple Greek (or Hebrew) words that are used in a way best expressed by a single English word. (For example, ἀγαπᾷς and φιλῶ in John 21 probably both mean “love,” as in most English translations, with no distinctions intended in this passage between agape and philia kinds of love.) On the other hand, we should not assume that the range of meaning for paradosis perfectly matches the range of meaning for our English word tradition. Even in this case where the ESV matches the two words nearly perfectly, I cannot assume that paradosis means exactly the same thing in every NT passage, or that in any passage it means what I most commonly mean when I use the English word tradition. The best approach for word studies is to use dictionaries to determine the range of possible meanings for a given word (Greek or English), and then study the context in which a word is used in order to select which of the possible meanings best matches the particular passage which we are examining. None of the above definitions fully captures what we mean when we talk about Anabaptist or Mennonite traditions, and none perfectly matches how either Jesus or Paul used the word paradosis. Bottom line: We need to listen closely to Scripture to let it shape our definitions and understandings. Back to the positive NT use of tradition. Let’s examine our three passages individually, making observations. Then we’ll summarize our observations and suggest some implications for how we should think about tradition in our churches. 1. 1 Corinthians 11:2. Here Paul affirms the Corinthian church: “Now I commend you because you remember me in everything and maintain the traditions even as I delivered them to you.” Here we can clearly see the root concept of paradosis: It is something that is “delivered” from one to another. The word “delivered” suggests intentionality. Paul did not simply live quietly in the land, assuming others would learn from him if they wished. The thing delivered was old to Paul, but new to the Corinthians. Thus, the transmission of tradition produced radical changes. On the other hand, once the Corinthian believers had received what Paul delivered to them, the proper thing to do with these traditions was to “maintain” them. Thus paradosis in this passage implies both intentional change and intentional preservation. Notice that Paul wanted the Corinthians to remember more than just the traditions he had delivered. He also wanted them to “remember [him] in everything.” Thus, tradition was not to be received as an impersonal body of practices or “ordinances” (the KJV’s unfortunate translation of paradosis in this passage). Rather, tradition was a personal matter, rooted in intimate relationship. If we zoom out to the wider context, we see that Paul did not merely want the Corinthians to “remember” him; he wanted them to imitate him: “Be imitators of me, as I am of Christ.” This suggests that Paul believed that personal example and imitation was an important way of “delivering” tradition. In other words, mentoring. The mention of Christ shows the ultimate source of the tradition that Paul delivered to the Corinthians. Paul is the channel of these traditions, not the source. Thus, we can see three “generations” of tradition in this passage: Christ, Paul, and the Corinthian church. The account of Christ instituting the Lord’s Supper: “I received from the Lord what I also delivered to you,” Paul writes (1 Cor. 11:23-26). The gospel as a whole, including the historical facts and theological significance of Jesus’ death, burial, and resurrection: “I delivered to you as of first importance what I also received” (1 Cor. 15:1-11). These traditions may have also included Paul’s teaching about headship. Most likely Paul uses paradosis here to refers to any and all of his teachings, both doctrine about Christ and instruction about how to live in response to Christ. Clearly, Christ is central—both as the source of Paul’s tradition and as the center of its content. 2. 2 Thessalonians 2:15. Here Paul appeals to the church at Thessalonica: “So then, brothers, stand firm and hold to the traditions that you were taught by us, either by our spoken word or by our letter.” This passage, though similar to our Corinthian one, offers additional insights into the traditions that Paul affirmed. Here the traditions were “taught,” a word that again suggests intentionality. But different modes of transmission are specified: “spoken word” and “letter.” Tradition, then, is something that you not only do, but also teach verbally. The word “taught” implies that the Thessalonians did not originally know and practice Paul’s traditions. His traditions challenged and changed their former ways of thinking and living. On the other hand, having learned Paul’s traditions, they were to “hold” to them, a word that suggests preservation. Thus tradition again involves both change and continuity. The phrases “stand firm and hold” and “either by our spoken word or by our letter” echo phrases from earlier in the chapter: “We ask you, brothers, not to be quickly shaken in mind or alarmed, either by a spirit or a spoken word, or a letter seeming to be from us, to the effect that the day of the Lord has come” (2 Thess. 2:1-2, emphasis added). In this chapter Paul is instructing the Thessalonians “concerning the coming of our Lord Jesus Christ and our being gathered together to him” (2 Thess. 2:1). This topic, of course, was an important theme in Paul’s previous letter to Thessalonica (1 Thess. 4:13-5:11). And here Paul says, “Do you not remember that when I was still with you I told you these things?” (2 Thess. 2:5). So Paul had previously instructed the Thessalonians previously both by “spoken word” and by “letter” (2 Thess. 2:15) about these matters. These teachings about the coming of Christ were part of the “traditions” that Paul had taught to the Thessalonian church. Another contextual clue is suggested by the words “so then” at the beginning of our verse. These words link back to the the previous verses (2 Thess. 2:13-14), where Paul recalls with gratitude how God first chose the Thessalonians to be saved: “To this he called you through our gospel, so that you may obtain the glory of our Lord Jesus Christ” (v. 14). This context reveals several important truths. First, the reason why Paul thought the Thessalonians should hold to the traditions was because they were essential for salvation. Unless the Thessalonians held fast to the traditions Paul had taught them, they had no assurance they would “obtain the glory of our Lord Jesus Christ.” They had begun well; now Paul wanted them to finish well. Clearly, “traditions” here does not refer to merely human customs or rules. Second, a close relationship is suggested between “gospel” and “traditions.” God had initially called the Thessalonians “through our [Paul’s] gospel” (2 Thess. 2:14; see also 1 Thessalonians 2, where Paul recalls how he originally “proclaimed… the gospel of God” to the Thessalonians, who had “accepted it not as the word of men but as what it really is, the word of God.”). Now they needed to hold fast to “the traditions.” This suggests that the traditions were either the gospel itself (the message about being saved “through sanctification by the Spirit and belief in the truth”; 2 Thess. 2:13), or other teachings integrally springing from the gospel message. 3. 2 Thessalonians 3:6. Here Paul gives a command concerning tradition: “Now we command you, brothers, in the name of our Lord Jesus Christ, that you keep away from any brother who is walking in idleness and not in accord with the tradition that you received from us.“ The usage of paradosis here is clearly parallel to our other two passages. For example, there is again a very strong emphasis on imitation and an appeal to the authority of the Lord Jesus Christ. But several new emphases can be noticed. In context, the tradition that Paul is talking about is the tradition of working quietly and earning one’s own living (2 Thess. 3:6-12). Here behavior is clearly included as part of tradition. Tradition is not merely about how we think; it is also about how we act. Tradition here serves as a boundary for the church, or at least as a measure for good standing within the church. The Thessalonians are to “keep away from” anyone who does not follow the tradition of working diligently. They must not even share food with such people. Notice how Paul describes this tradition in clear but general terms: The Thessalonians are to work diligently and quietly, earning their own living. They are not to be disorderly, burden others by eating food without paying for it, or be busybodies. Paul does not say how often one could eat free as a guest before one should start paying (the Didache limited traveling Christians to two or three free nights). He does not say how many hours per week one must work in order to be considered diligent. He seems to expect that his instructions are clear enough that they can be applied on a case-by-case basis without detailed universal rules. In summary, Paul uses paradosis in 2 Thessalonians 3 to refer to godly behaviors learned by imitation from Christian leaders—behaviors which are necessary for good standing in the church of Christ. If we summarize all three passages where Paul speaks positively about tradition (paradosis), we find that the content of this good NT tradition includes the gospel message about Christ and his work past, present, and future, all the associated truths that we need in order to persevere to final salvation, and all sorts of Christlike behaviors. In addition to the above passages, one should examine the entire theme of discipleship in the NT! As I end this brief study of tradition in the NT (good and bad examples), my heart is full. I feel I must speak clearly and honestly to my fellow conservative Anabaptists. Scripture is speaking, and we must listen. In short, I think we are in urgent need of having a radical renewal in our concept of tradition. I ask you: When we talk about “tradition” in the context of church life as conservative Anabaptists, what kind of traditions usually come to mind? Man-made customs and rules that we have added to God’s word (as with the “tradition” of the Pharisees)? Or the gospel of the Lord Jesus Christ and basic principles of Christlike behavior (as with the “tradition” of Paul)? I ask you another question: Do you see any suggestion in the NT that tradition in the first sense (man-made customs or rules, however good or natural) is ever emphasized as a useful means for either bringing anyone to salvation, producing holy behavior, or preserving the gospel? Let me summarize with eight overlapping observations from our study. This is what good tradition looks like in the NT. Ask yourself: Is this what tradition looks like in my church? Tradition involves personal relationships. When the NT talks about tradition positively, it usually depicts intimate relationships between an apostle or missionary and those in his care. Seeing tradition as merely involving beliefs and practices is not enough. If tradition is experienced as an impersonal force, then we have fallen short of the NT pattern. Tradition involves personal imitation. When the NT talks about tradition positively, there is not merely conformity to a social norm. Rather, there is direct imitation of a worthy individual. This means that those of us who want to promote tradition must focus on being persons worth imitating. It is not enough to merely point to a body of beliefs or practices. Good tradition requires good people—people who consciously aspire to be Christlike role models. Tradition involves imitation of Christ. When the NT talks about tradition positively, in passage after passage the flow of tradition is clear: The fountainhead is Christ, and all worthy tradition flows downhill from him—down through his apostles, down through faithful Christians of all time, down through those who proclaimed the gospel to us, and down through us to others. As we drink from the stream of those who have taught and modeled Christ to us, we walk up through this stream, ever closer to Christ himself, our only perfect Model. Tradition involves a group cohesion found in Christ. When the NT talks about tradition positively, it indicates that the church finds its cohesion in Christ. Group cohesion is found not merely in each individual conforming to the group, but in each individual helping the other conform to Christ. As the gospel tradition draws us closer to Christ, we are held together in him. Tradition involves a community being transformed into the image of a p/Person (a Christ-imitator and Christ himself), and not merely a person being transformed into the image of a community. Tradition involves intentional choice. When the NT talks about tradition positively, there is no suggestion of subconscious immersion in a religious culture or thoughtless conformity to social norms. Rather, we see people proactively proclaiming, mentoring, and following. Those of us who want to affirm and hold onto tradition should intentionally look for mentors worth imitating, not merely conform to peer pressure. Tradition involves explanation. When the NT talks about tradition positively, we see both the what and the why being taught. Last fall I read the fascinating book Runaway Amish Girl, written by Emma Gingerich, a brave young lady who used to belong to a Swartzentruber Amish group not far from my home here in Leon, IA. I expected that by reading the book I would gain a better understanding of why Amish live the way they do. I did learn much about the Swartzentruber Amish, including some details of their ordnung (church ordinances or rules). But I was surprised to discover as I ended the book that I really hadn’t learned much about why they live as they do. The reason I didn’t learn much about the why is because the author, despite having grown up Amish, was never taught the why, either. This failure of these Amish to explain the why became for me one of the most important lessons of the book. This Swartzentruber Amish group had plenty of traditions, but they had little understanding of tradition in the positive NT sense.Ordnung without explanation is empty. Teaching and training are essential elements of the apostolic approach to tradition. The apostles never merely commanded what to do; they rooted the what firmly in a gospel why—in a theological explanation of some aspect of the work of Christ. In fact, they often taught the why first, then deduced the what from the why afterward. And they even sometimes flexed the what from situation to situation, aiming to best promote the why of the gospel in each unique context. Tradition involves change. When the NT talks about tradition positively, it describes something that comes into our lives from the outside and turns our world upside down. The kingdom of God brings a new world, a new age, and new ways of thinking. Yes, we hold onto this tradition fiercely once we have received it. But its revolutionary work in our hearts will not be finished until Christ returns. Our thoughts and behaviors will continue to evolve as we are ever more conformed to the gospel. Not all change is life or growth. But to be alive is to grow, and to grow is to change. Thus, tradition is not merely “doing things as we’ve always done them.” It radically changes both individuals and entire communities. Tradition involves biblicism. The word biblicism has received a bad rap, for at its worst it signifies a legalistic adherence to the letter of the Bible. But in its best sense it signifies something good: a strong focus on the Bible as divine revelation that leads us to Christ and guides us as we follow him. And when the NT talks about tradition positively, it ties this tradition very tightly to Scripture—hence, tradition involves biblicism. This is surprise. One of our dictionary definitions for tradition above, remember, went like this: “A doctrine or body of doctrines regarded as having been established by Christ or the apostles though not contained in Scripture” (emphasis added). This definition sounds a lot like the Jewish concept of the tradition of the elders or “oral law,” which they believed was given by God to Moses on Mount Sinai. (Here is an Orthodox believer struggling helpfully but imperfectly with the question of “Holy Tradition.”) But Paul’s use of tradition is different. Remember that when Paul mentioned tradition in 2 Thessalonians 2, he mentioned both “spoken word” and “letter.” Paul taught tradition through both. Significantly, there is no indication here (or elsewhere in the NT) that the content of Paul’s verbal teaching was conceptually different from the content of his written communication. There is no indication, for example, that Paul taught “principles” through his letters and then gave more specific “applications” of those principles in his verbal instructions to churches. This means that we today can access Paul’s traditions by reading his letters. To study Paul’s letters is to learn his traditions; to follow tradition is to be a biblicist. If we faithfully adhere to the tradition of the apostles, we will neither add to their writings nor take away from them. Let me summarize our observations more concisely. Tradition, when it is described positively in the NT, is always tied to discipleship. Therefore, in order for tradition to be life-giving for us today, it must always be tied to discipleship. More specifically, it must involve relationships where disciples are trained by those who are imitating others who have imitated Christ. Ultimately, authentic NT tradition involves imitating Christ by means of imitating his apostles and their imitators. Thus authentic NT tradition is a concept that pushes us back to Scripture and on to Christ himself. Conversely, tradition smothers and kills to the extent that it is devoid of meaningful mentoring relationships and unhinged from the biblical witness of Christ and his apostles. So here is my appeal to my fellow conservative Anabaptists: Do you think tradition is important? Then become a disciple of Christ who makes more disciples of Christ! Find the most Christlike people you know! Spend time with them, imitating them as they imitate Christ. Find someone else who wants to follow Christ, and model Christ to them! Share your heart along with the doctrines and behaviors of Christ. And as you do this, submit all your human traditions (Phil. 3) and personal and cultural preferences (1 Cor. 9) to the cause of the only tradition that really matters: the gospel of the Lord Jesus Christ (1 Cor. 9:23). This has been a long post, but it has been brewing in my heart for a long time. I sense it may be one of the most important posts I’ve shared so far, with its call for us to recapture a NT vision of tradition and disciple-making. Please pray for me that I will not only teach these things but also understand and live them more fully. (I am a disciple who is a slow learner.) May God give you grace to do the same. Now it’s your turn. What did you learn in this study of tradition in the NT? How would you add to or change what I have written? Am I missing something? How can we live out this call to NT “traditionalism”? What methods or means can we use in our churches to better pass on the faith once for all delivered to the saints? Please share your insights in the comments below.